Palak Paneer is everybody's favoruite and here we go for the yummy recipe..
Wash the spinach leaves and microwave it along with tomatoes, green chilli, ginger and 1 tbsp water in a microwave safe bowl on high for 8-9 min or till the tomato and spinach are cooked. Cool them and remove the skin of the tomatoes and puree the spinach tomato mixture in a blender along with the cardamom, cinnamon, cloves and keep aside. Heat the oil in a wok and add the cumin seeds and asafoetida. When the cumin seeds turn brown add the blended spinach mixture. Add the coriander, cumin, turmeric and red chili powders and cook for 5-10 min till the raw smell of the Spinach is gone. Add the kasuri methi, paneer cubes and salt and cook for 10 more minutes till it attains the desired consistency. Turn off the heat and stir in the milk or cream. Serve hot with roti/naan/parata. If you don't want to add the Tomatoes along with Spinach you may skip that but adding tomatoes add more flavour in this dish. Sending this to Show Me Your HITS series #4 Iron Rich foods event hosted at Erivumpuliyumm. 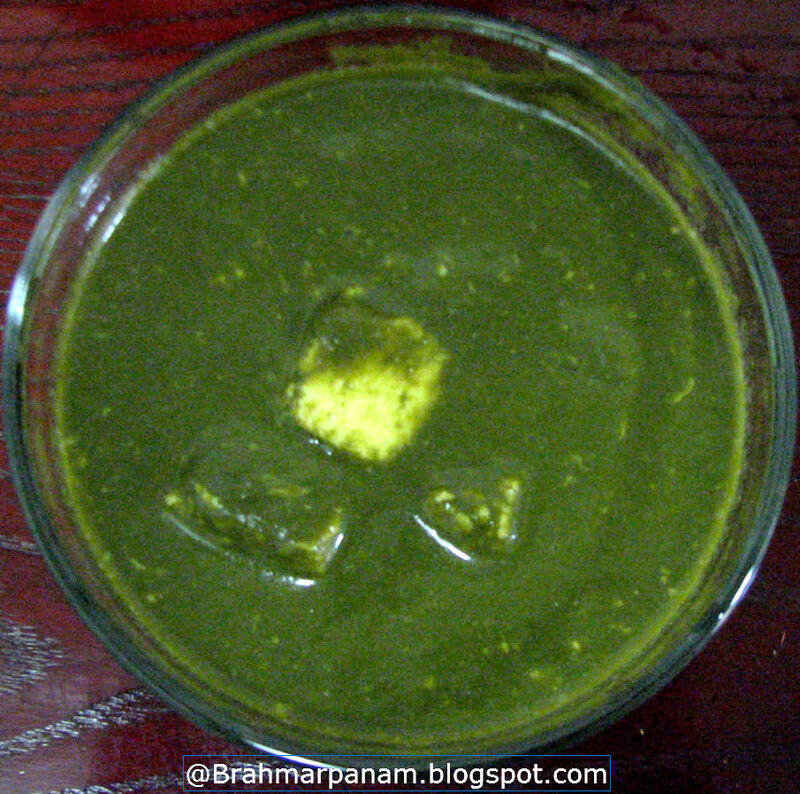 Very greeny yummy yum palak paneer ! !